Paper Crafts by Candace: Invitations Galore Blog Hop! 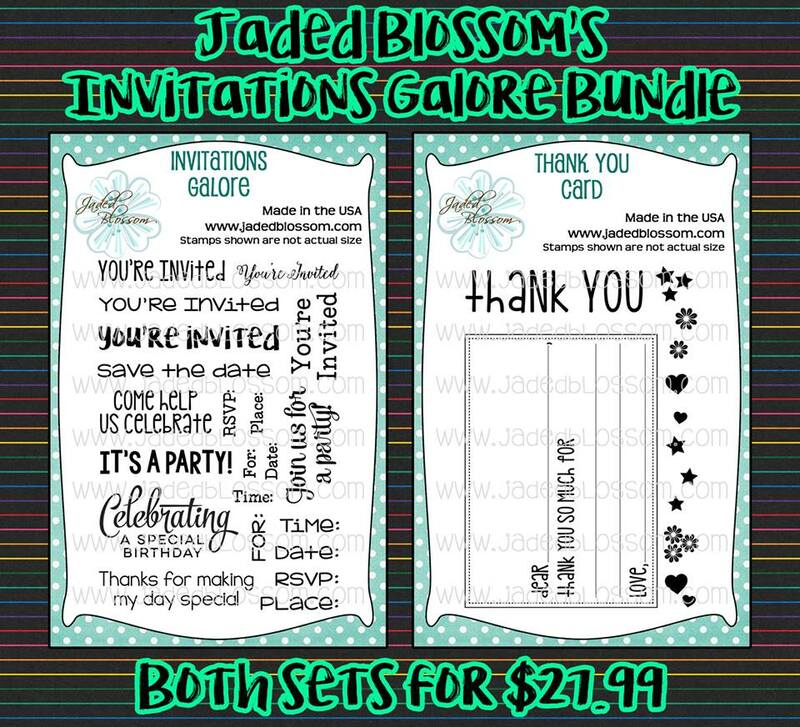 Jaded Blossom is also releasing two stamp sets to go along with the Invitation Theme! And now for my project! 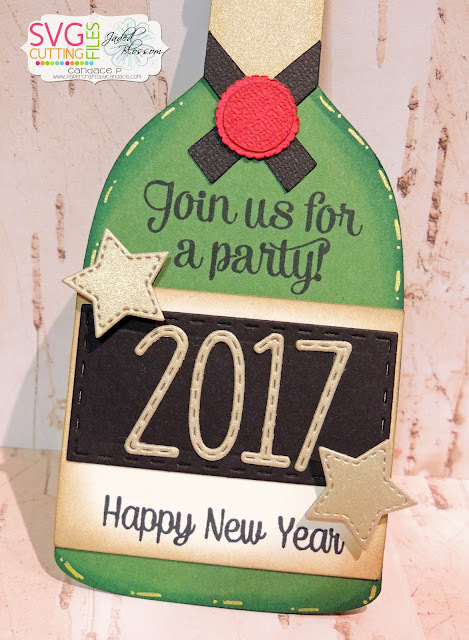 I know New Years is a very popular holiday for parties so I decided to make a New Years party invite! This can either be for New Years Eve or New Years day! From SVG Cutting Files I used the new Wine Bottle Shaped Card SVG. From Jaded Blossom I used the new Invitations Galore stamp set, along with Happy New Year, Star Dies, Alphabet Dies and Rectangle Dies. 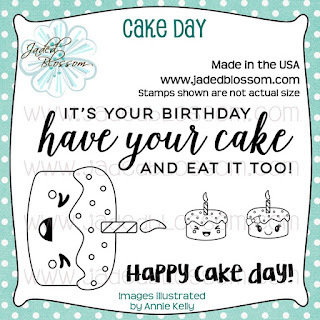 Here is a look inside my card where you can put all your party details! Thanks so much for checking out our hop! Next up on the hop is MICHELLE! 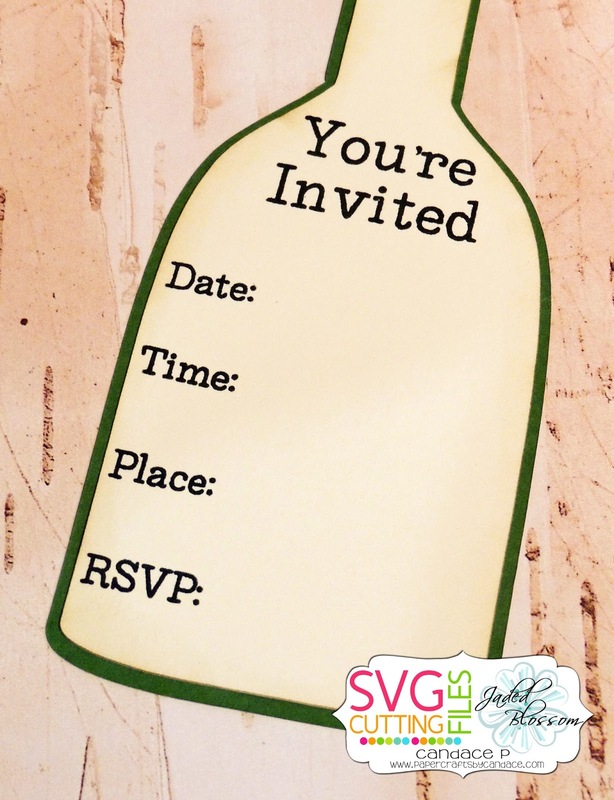 Love this invitation idea. Your card is great. Great idea!! Love the shape card!! Really cool invite, Candace!!! It looks awesome! Super cute and way to get a head start! Nice invitation to an adult party. fantastic! Just love this so much! I love your idea, great job.. thanks for sharing.. Awesome for anniversaries, wedding and New year. Great idea! Perfect invite for a New Year's Eve party. Love it. Gosh I can't believe that we are already doing cards for New Years LOL. I haven't even gotten my Christmas cards started. Oh gosh-- now I am pretty sure I am going to have to have a New Year's party just to create this... I suspect this hop is going to get me in lots of trouble :) So many party invites to make so little time! Love the champagne bottle .... awesome job! Woo hoo! What a fun invitation for New Year's! Perfect shape for a New Year's party. 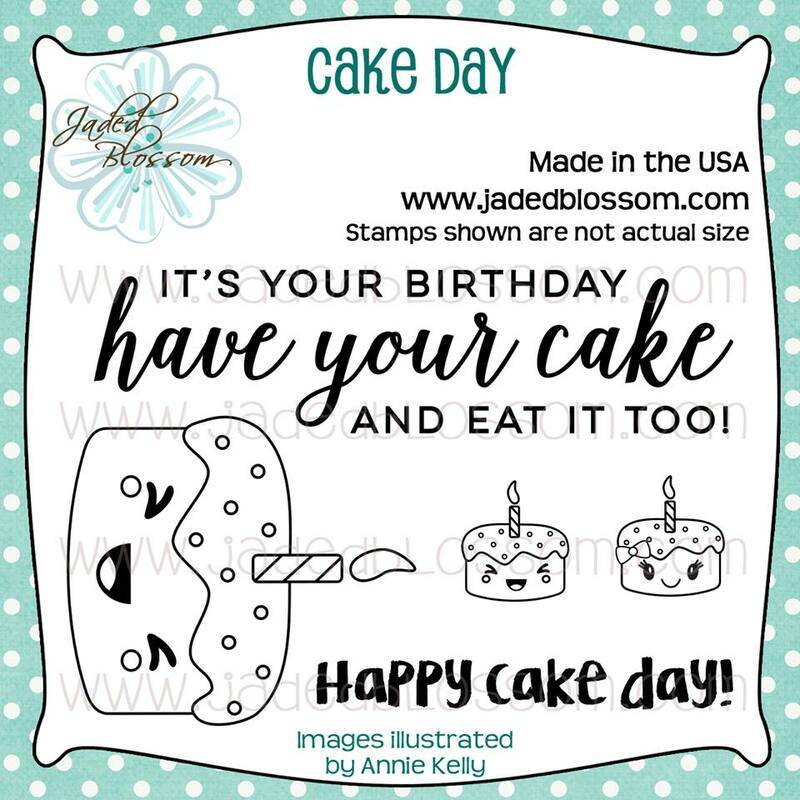 great work on your card...I love the invite idea! You did a great job on this invite. Love it! Wow, what a great idea! Love it!! Love the shaped card! Awesome idea. Hello. Great idea with the bottle. This is Awesome! Fun idea! Fantastic job ! would love to get an invitation like this in the mail! Oh my gosh, what a FUN invitation! I love the bottle and the new stamps...can't wait to get! Awesome invitation...and I just can't believe that its almost 2017!!! wow!! 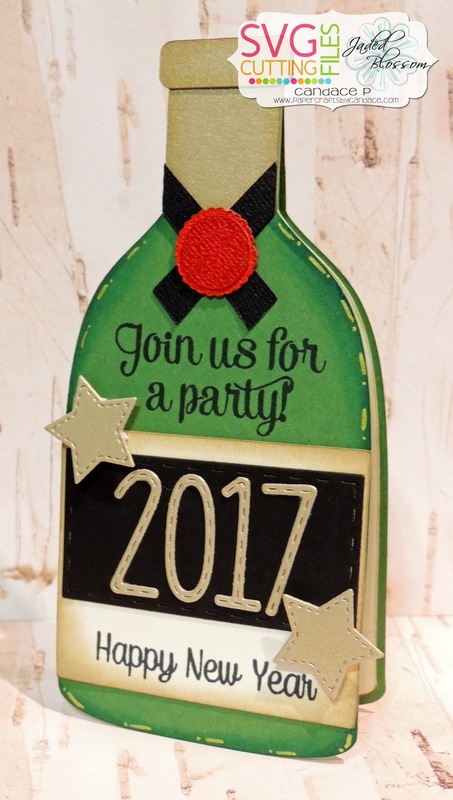 Great New Year's party invitation. Love the shaped card idea. Oh WOW! So COOL! LOVE the shape!Great design! Great hop! Thanks for the freebies! Loved all the projects from your talented group of gals! Great invitation. Love the bottle idea. TFS. What an absolutely fabulous file and card! Love it! Very cute invitation! I love the details. Love the shape and finished off so well.